Sheesh! Took me like 4 hours to complete this one and you can see that I got a little sloppy at the end... 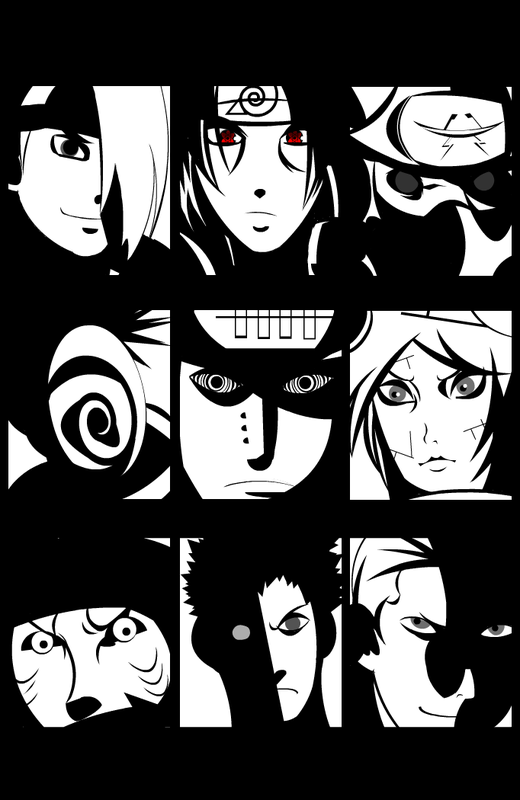 Starting from left (top) to right: Deidara, Itachi, Kakuzu, Tobi, Pain, Konan, Kisame, Zetsu and Hidan. Hope you like it! This strip is a reply to Bonds., Sasuke's ambition., Hatred., All will be well., Don't look away.., I am an avenger. Awesome work!! Faved and gratz! !